Wade Maid Launches new Website! Over the past 20 years we have received numerous accolades from our customers telling us how much they appreciate how our cleaners, waxes and polishers help them rejuvenate their Beasts. We are excited to announce our own rejuvenation, the launch of Wade Maid’s newly redesigned website. The refreshed and simplified look offers quick and easy access to essential product information, and it is optimized for mobile devices to allow better online interaction. There are “how to” areas throughout the website giving opportunities to watch videos and learn how to use our products. 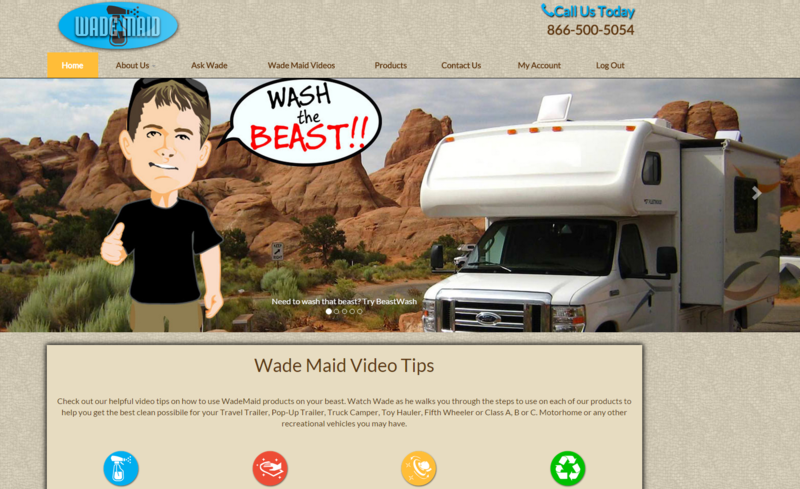 And, due to its’ popularity we have retained “Ask Wade” which is our customer’s chance to ask Wade how to restore their beast so it looks brand new, how to properly Polish, Wash or Clean their RV and much more.